Baer has designed these kits to safely and repeatedly stop the fastest and heaviest door slammers. 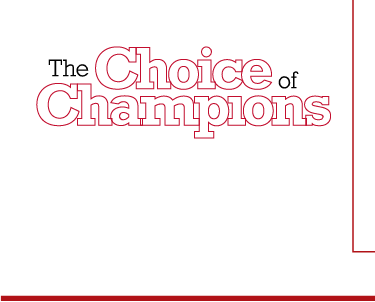 Baer's design goal is to deliver an end product that provides the greatest value for the dollar in the market. Although Baer always, "reserves the right to learn more", we believe the SS4+ Deep Stage kits exceed our objective. This system features the S4 4-piston caliper mounted to a 11" 2 piece slot, drill, zinc plated rotor. 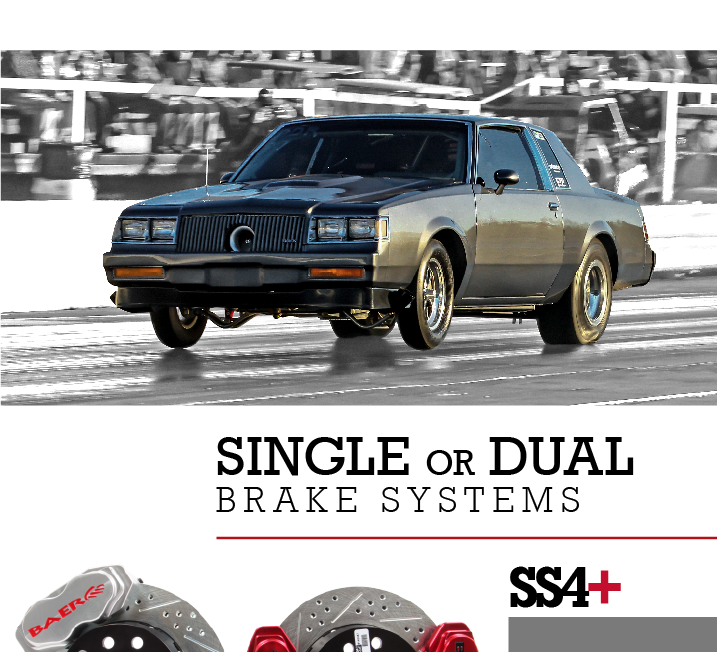 The SS4+ is designed just like Baer's larger systems, but in a smaller package for 15" wheels. 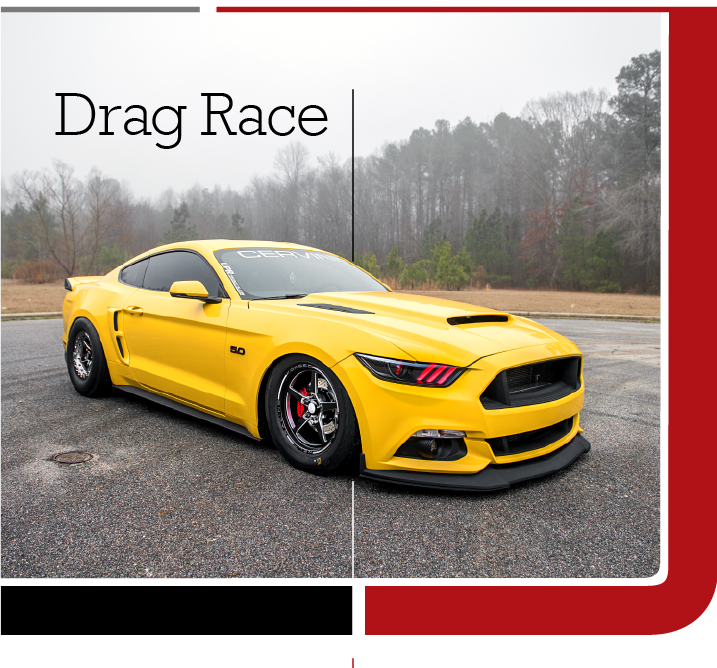 This is the first drag race system designed specifically for heavy, fast cars that might see street use. 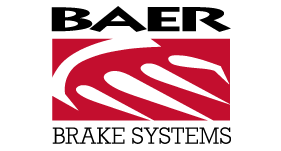 Rotors are vented, and calipers have dust seals. 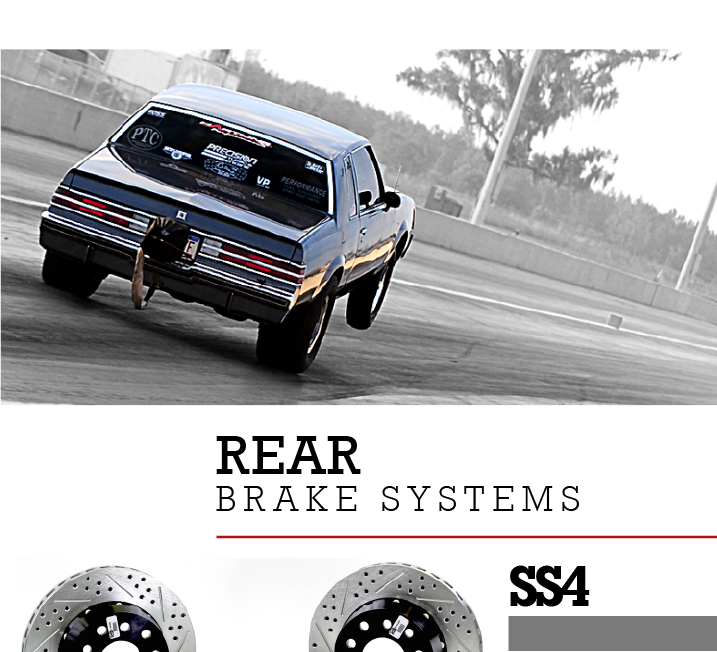 This system is designed as a Drag Race only part, and features (4) S4 4-piston caliper mounted to a 11" x 1" directional (2 piece) slot, drill, zinc plated rotor. 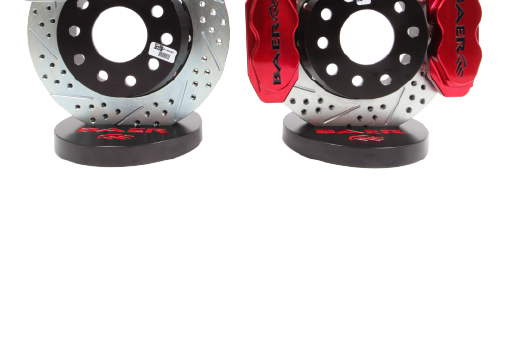 This is designed specifically for heavy, fast drag cars that rely on their brake to launch or stage the car. The rear systems are specific to the housing end being used, if you are unsure of what ends you are working with please contact us direct and/or use images below to identify what you have. These systems are available in a variety of piston sizes. The larger piston area (1.75") will provide maximum clamping force, but can cause long pedal issues due to large volume requirements. A smaller 1.375" piston option was introduced, and has been a very popular option in classes such as NMRA True Steet where the cars will see limited street use. 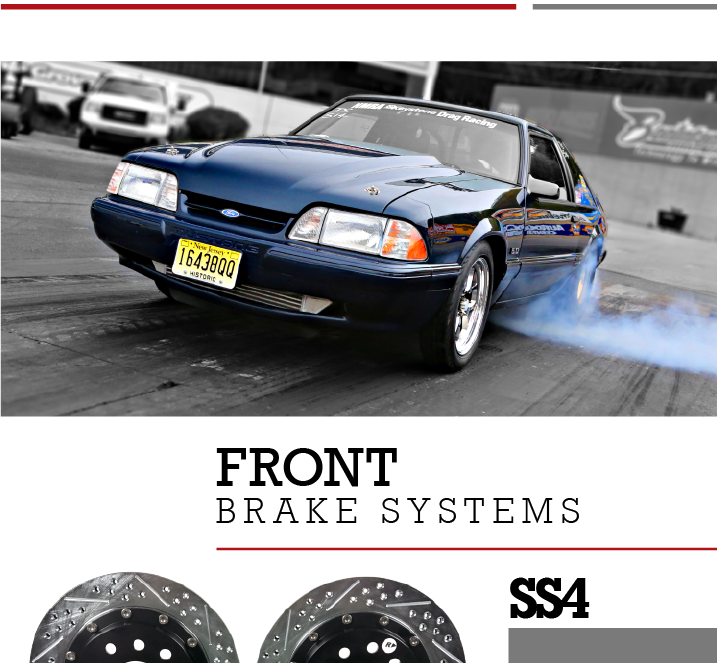 These rear systems are designed for racing only. If used on the street (due to brake bias change) be sure to spend some time to make sure adjusted correctly. 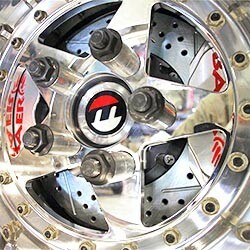 Baer’s 11” rotors are small enough in outside diameter to fit 15” bead lock wheels. The 1” curved directional design is stout enough to stand repeated pounding. 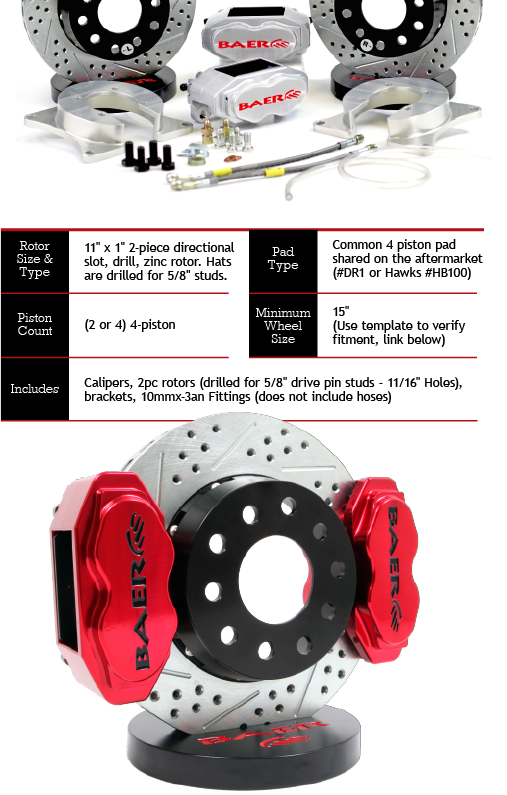 Dual caliper “Staging” packages have been designed, tested and proven to lock tight with 2,000+ hp turbo motors. Unsure what you need, the rear bracket is the same in either kit, so upgrade from single or dual is not just easy, it’s clean! 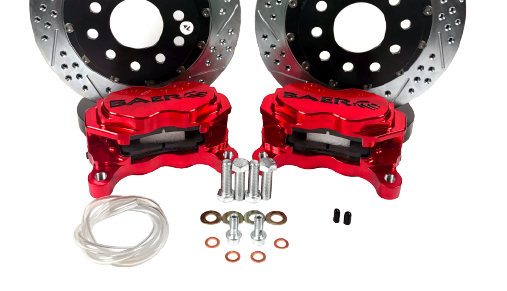 Baer hubs are hard anodized and races are installed on Deep Stage kits. Screw in studs (optional ARP units available) and bolt on dust caps are included. Baer’s 11” x 1” rotor is a high-silicon content cast iron unit featuring curved directional vane structure. 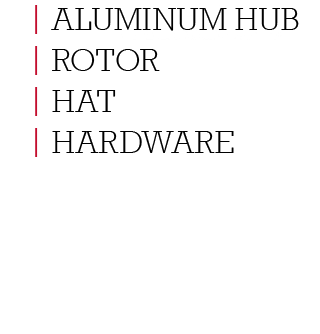 For safety, Baer never screws hardware directly into aluminum hats. National Aerospace Standard (NAS) stainless bolts and mechanical lock nuts are used. A “step” machined into the Baer rotor and the tri-wing combine to allow the hat to recess flat and minimize iron/weight without structural compromise. Assembled rotor weight front or rear is 12.42lbs (with deepest/heaviest hat). 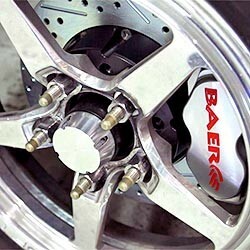 Racers running Baer SS4+ Drag brakes completely dominate in the fastest true street racing. For ultra high powered full weight street cars there is simply no other option.